At go2HR, we pride ourselves for putting our employees first. We believe that the only way we can deliver exceptional service to BC’s tourism industry is by hiring exceptional people, building a strong corporate culture, and celebrating successes in the workplace. We say thanks for a job well-done and make a point of rewarding performance not only through our competitive compensation and benefits packages, but also by creating a fun and dynamic environment to work and grow in. In addition to celebrating birthdays and service anniversaries, we organize fun employee events throughout the year that allow the team to interact in a less formal setting and get to know their colleagues as well as their families. Ongoing training and development of employees is important to us. By supporting professional development opportunities such as seminars, courses, workshops and industry certifications, we want to help you grow in your profession as you grow at go2HR. We also send you to attend industry events to stay abreast of industry trends and meet and connect with our partners and stakeholders. 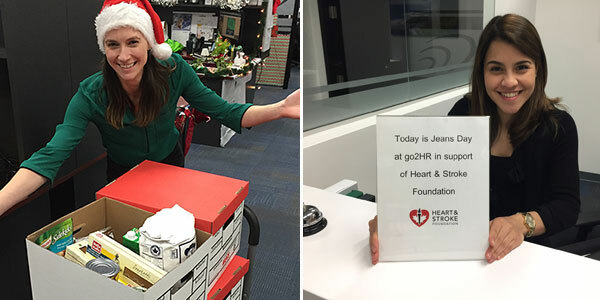 Giving back to the community is encouraged here at go2HR. Through monthly jeans day, Christmas donations and other charitable initiatives, we have shown support to local charities such as BC Children’s Hospital Foundation, Variety – The Children’s Charity, Samaritan’s Purse Canada, H.A.V.E. Culinary Training Society, Covenant House Vancouver, Harvest Project, Lower Mainland Christmas Bureau and Greater Vancouver Food Bank Society. To gauge employee satisfaction, we conduct a bi-annual survey to seek employee input. Based on the survey results, our Culture Committee, working with the management team, oversees and manages employee retention initiatives. On the other hand, our Internal Health & Safety Committee ensures that work areas are properly equipped, dangerous conditions are identified and corrected, safe work practices are maintained, disaster and emergency plans are in place, and that employees are well informed of and trained on the relevant policies and procedures. We have developed and maintained a safety management system, and go2HR is proudly certified by the Certificate of Recognition (COR) Program. 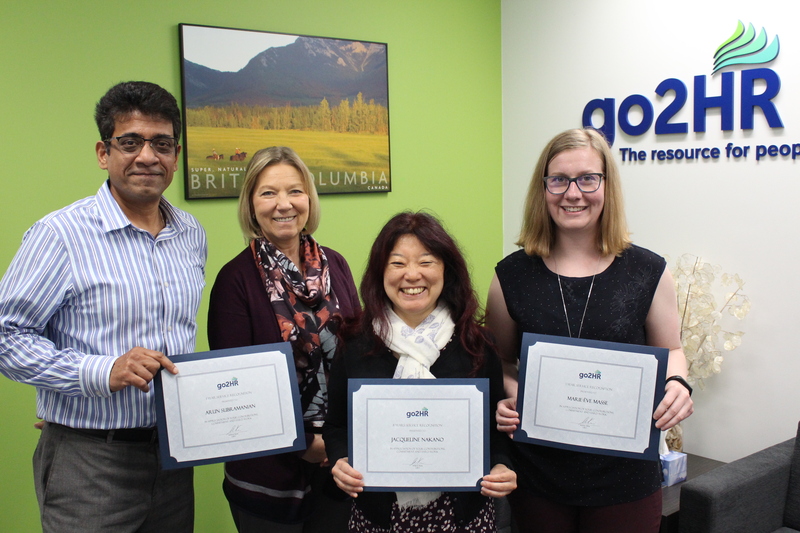 Located in the heart of downtown Vancouver with convenient access to public transit, the go2HR office is also an environmental friendly workplace. 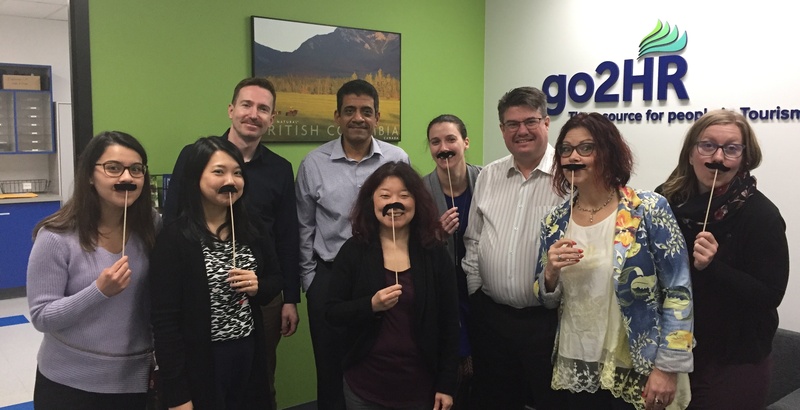 If you are interested in working at go2HR, take a look at our current job opportunities.